We love designing funky little powder rooms for our clients. This tiny little room is a great opportunity to have fun infusing personality into your home. So, paint your walls that deep blue green you've been dying to use. Go for the colored light fixture. Have fun with that scalloped tile that reminds you of underwater sea life. Install that impractical vessel sink. The sky is the limit on what you can do! 1. Wainscoting gives the appearance of a taller room. 2. Exotic or unusual wood veneers have the feeling of a luxurious destination hotel. 3. Metallic finishes and reflective surfaces make the space feel larger. 4. Ditch the standard ceiling mount light for stylish wall sconces on either side of your mirror. 5. 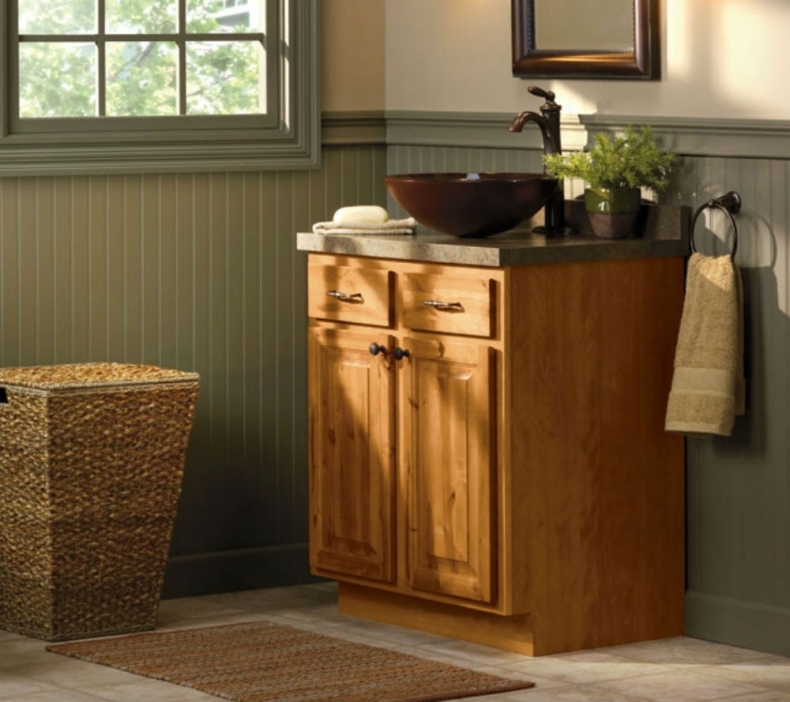 Pedestal sinks, vessel sinks, and furniture vanities are all great alternatives to boring basic vanity cabinets. 6. Designer mirrors are functional pieces of art for tiny powder rooms. 7. Bold patterns and rich colors create an eccentric atmosphere. 8. Whether marble or onyx, take this opportunity to splurge on the high end countertop of your choice. 9. A little bit of contrast goes a long way to make a big impact in powder rooms. Black and white is a classic and timeless choice. 10. Your powder room usually doesn't see a lot of traffic, so have fun with your flooring choices. The options are endless, including wood, mosaic tile, slate, etc. 11. Make your guests feel pampered by going for a little bit of extravagance. Floor to ceiling tile, plush guest towels, and designer faucets can accomplish this impression. We all love the rich look of hardwood. The texture and woodgrain have been a flooring classic choice for centuries. Although beautiful, wooden floors are not always the most resilient option. When used in wet areas in the home (kitchen, bathroom, mudroom), wood soaks up the water like a sponge. This causes expansion and contraction, which makes the flooring buckle. Wooden floors can accumulate unsightly blemishes under high traffic when not properly cared for, therefore many homeowners are looking for more resilient flooring options. The days of racing to clean up that sippy cup spill or monitoring the amount of Tonka truck traffic on your hardwood flooring are finally over! 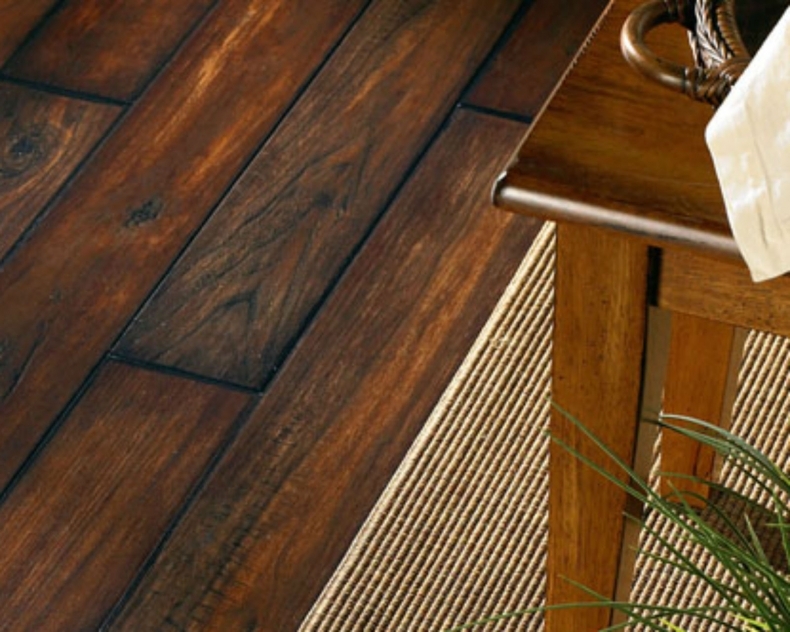 Many flooring companies are creating product lines to mimic the look of hardwood without all the fussy maintenance. The buzz words are Luxury Vinyl Flooring. Known for its versatility in wet and dry areas of the home, luxury vinyl flooring has come a long way in the last few years in their performance and aesthetics. Luxury Vinyl comes in planks with beveled edges to look more like actual wooden planks. With interlocking technologies, gap-proof guarantee, scratch resistance, and realistic patterns, our homeowners can feel comfortable putting luxury vinyl in their home as an alternative to wooden floors. We carry several lines of luxury vinyl flooring at our Little Rock Showroom on Interstate 30. Come out and view our large selection of luxury vinyl flooring!